Back To The Grind | Relish! 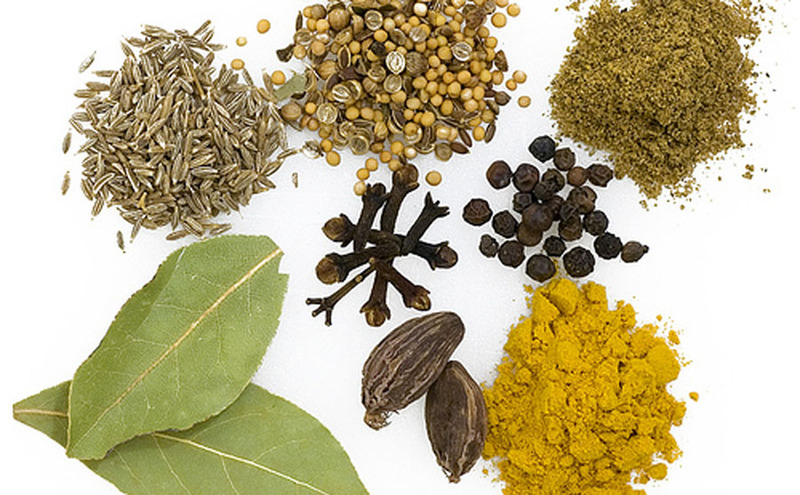 Spices are (well) the spice of life and nothing adds more flavor to a dish than a mixture of spices. Making your own spice mixes and rubs can spruce up the flavor of ho-hum meats and chicken. When it comes to depth of flavor, ground spices from a jar just can’t compete with freshly ground whole spices. Imagine a delicious Caesar salad without the freshly ground pepper! Unless you want to pluck cumin seeds from the bottom of your coffee cup, make sure to use a separate grinder for coffee and spices. Some grinders simply can’t handle the small quantities of spices that recipes often call for. The spices either sit untouched below the blades or swirl above their reach. Some grinders’ blades aren’t sharp enough to swiftly crush hard spices, like peppercorns. Mortar and Pestle or Electric Grinder? Some true spice experts worry that the heat from the spinning blade of an electric grinder might affect the spices’ flavor, so make sure to find a grinder with enough speed so it grinds quickly. Using the old fashioned mortar and pestle is ok but they tend to be shallow, require much more work and seeds tend to fly out of them. Traveling and Don’t Have Your Grinder? You can also crack peppercorns and other whole spices by placing them in a freezer bag on a cutting board and pounding with the bottom side of a heavy skillet.